The form and construction of the bookcase sold at Duke’s suggested a link to the Peter Miller workshop. The maker of this piece remains unidentified, but the exacting construction, the choice of the timber (a carcass using only wainscot oak), and the bombé-shaped base suggest a connection to the enigmatic Peter Miller workshop. 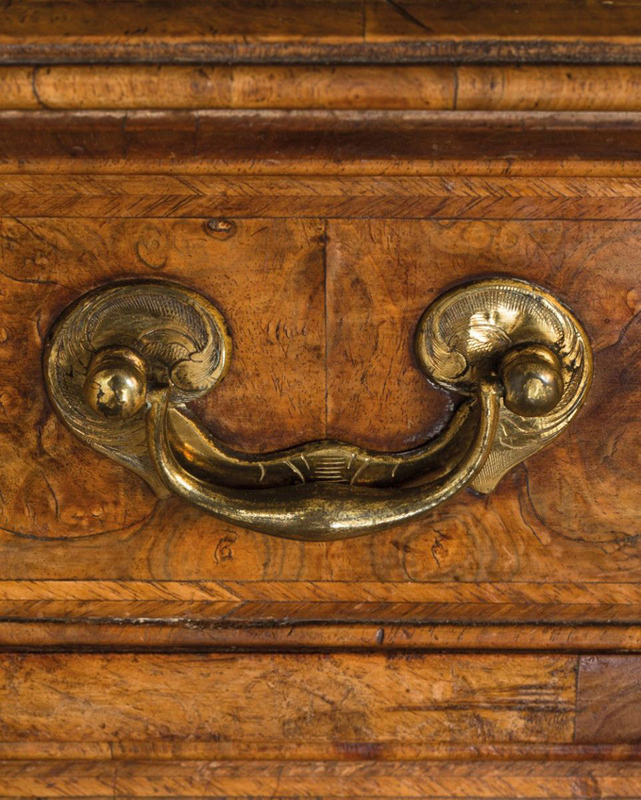 Both the engraved brasswork (including the foliate mounts to the angles) and the carved gilt paw feet are original. 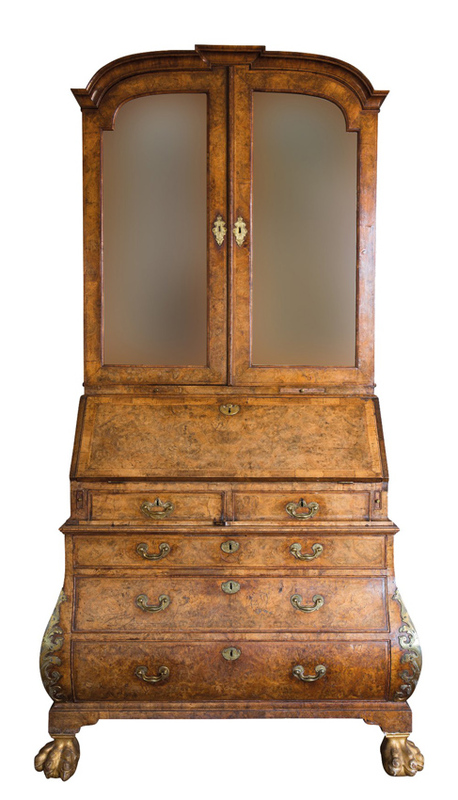 The George I burr walnut bureau bookcase that sold for £120,000 at Duke’s. 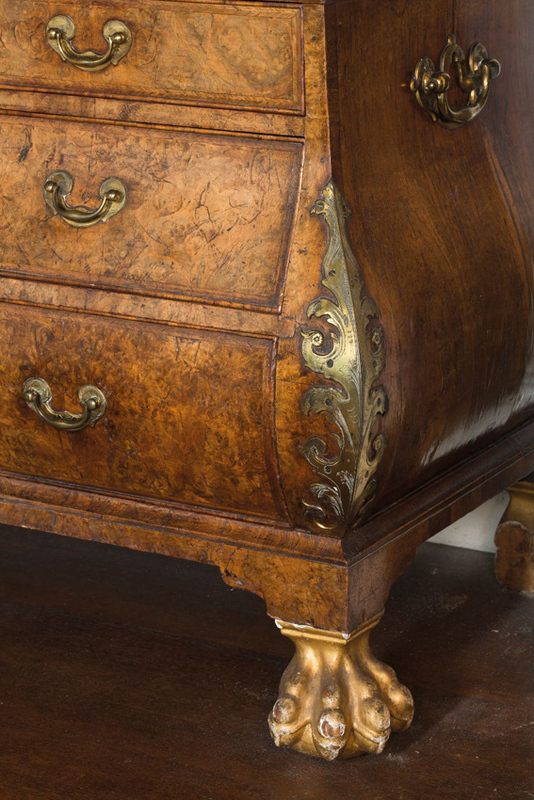 Miller’s work was unknown to English furniture historians until the publication in 1996 of Christopher Gilbert’s Marked London Furniture 1700-1840 and the illustration of a walnut bureau bookcase with the inscription ‘Peter Miller Cabenet Macker in the Savoy in London the 13 June A[nn]o 1724’. The distinct character of the pieces since added to Miller's oeuvre raises the possibility that – based outside the jurisdictions of the City Livery Companies – he was a German emigre and his surname an anglicised version of the surname Muller. 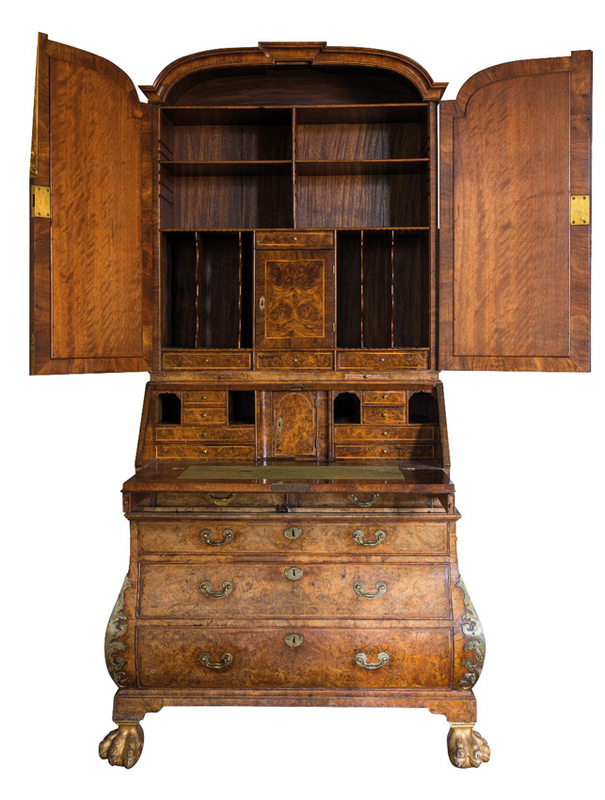 Duke’s bureau bookcase – it measures 3ft 10in wide by 7ft 4in high (1.17 x 2.24m) – was the choice lot in the sale of the contents of Moigne Combe, a Dorset house built by Henry Pomeroy Bond in 1898. The last member of the family to reside in Moigne Combe was the late Major-General Mark Bond (1922-2017), an aide de camp to Field Marshal Montgomery. 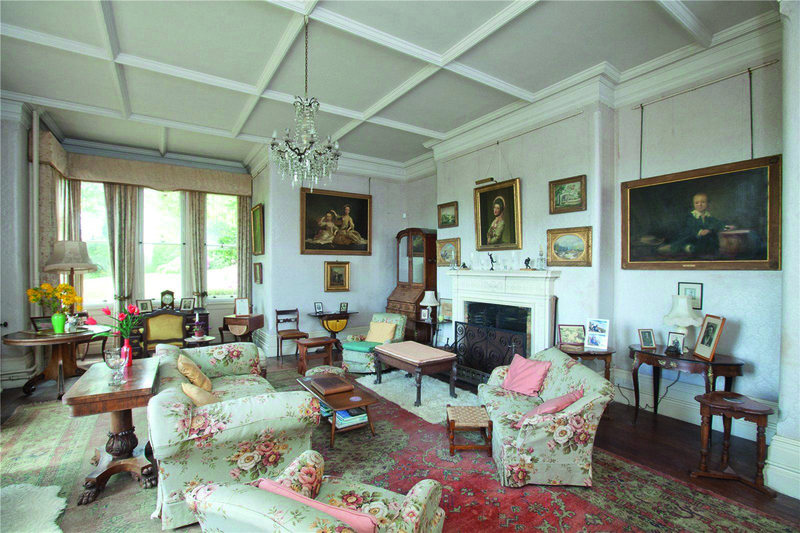 The bookcase (top right of photo) in situ at Moigne Combe in Dorset. Auctioneer Guy Schwinge described the bookcase, estimated at £40,000-60,000, as “an absolute belter”. He fielded bids from the room and the phones before it was knocked down to a phone bidder. A buyer’s premium of 25% was charged.